With three kids (and another on the way) I suppose it's a given that I do a lot of laundry. Not just the kids clothes, but my clothes, my husband's clothes, bath towels, dish towels, sheets, blankets...the list goes on. My mother-in-law has jokingly commented on the "laundromat" that appears when I get behind on my chores and she finds me sitting on the couch folding, surrounded by five or six giant piles! I really like to have a good scent to my laundry. I'm not talking "hit over the head with flowers" but I want my laundry to smell clean, fresh, and sweet. In the past, we tried several different scented detergents but it seemed like the ones with scent always broke out someone or the scent was waaay too overwhelming. And since we also cloth diaper, I then had to find something else that was safe to wash them in. I finally found a "free and clear" type of detergent brand that worked well for us all - no breakouts, no overwhelming smell, and it could be used with any type of clothing, diaper, or item that needed washed. But that also meant no smell whatsoever! Bummer. I'd seen some commercials recently about different types of scent boosters but really didn't know much about them. 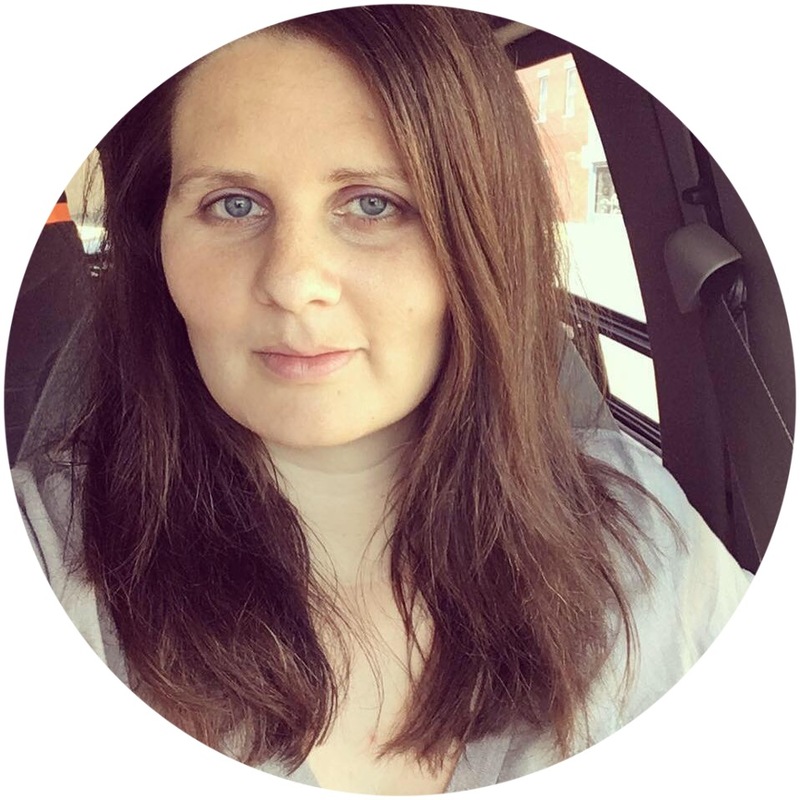 So I was pretty excited to be chosen to review Purex Crystals Aromatherapy through the Purex Insiders. 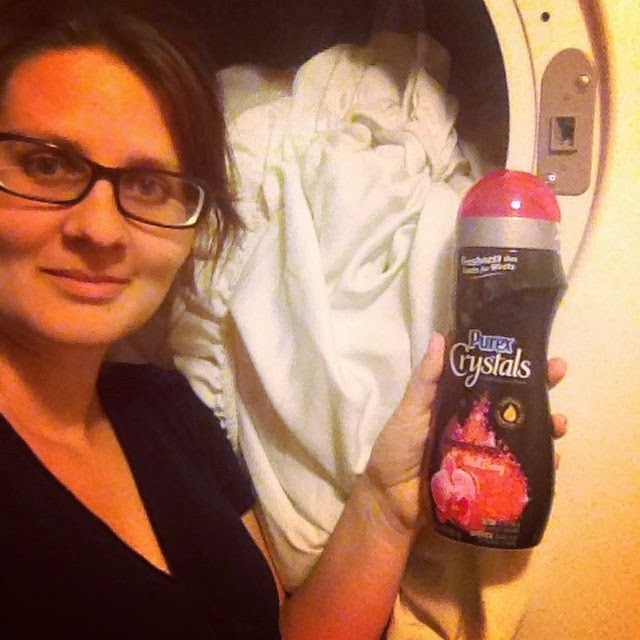 Purex Crystals Aromatherapy are in-wash scent boosters that have unique aromas blended with essential oils. Their scent infusions are energizing and long-lasting. 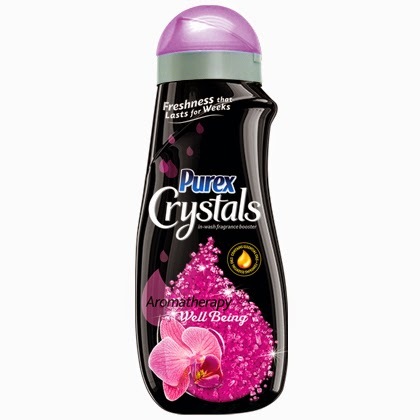 Disclosure: The Purex Brand provided me with a sample of Purex Crystals Aromatherapy in exchange for a product review. However, all opinions expressed here are my own. 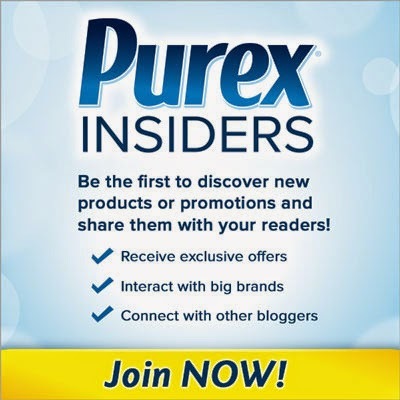 If you're interested in becoming a Purex Insider like me, click the button below to sign up! I'd love to try the Well Being! Tough choice, I can't decide between Energy and Serenity. You KNOW I need both!! I would definitely choose the scent "serenity". I will choose Energy if I win. I would try the Well Being. They all sound delightful, but I will pick Serenity. I would choose the Energy scent. I would try Energy first, but I really plan to try them all. I love experiencing fresh new scents! I would go with Energy because the other scents would bother my allergies. I love Purex products. If I won, I think I'd choose the Energy scent. Serenity would be the choice for me. I bet Serenity smells amazing!